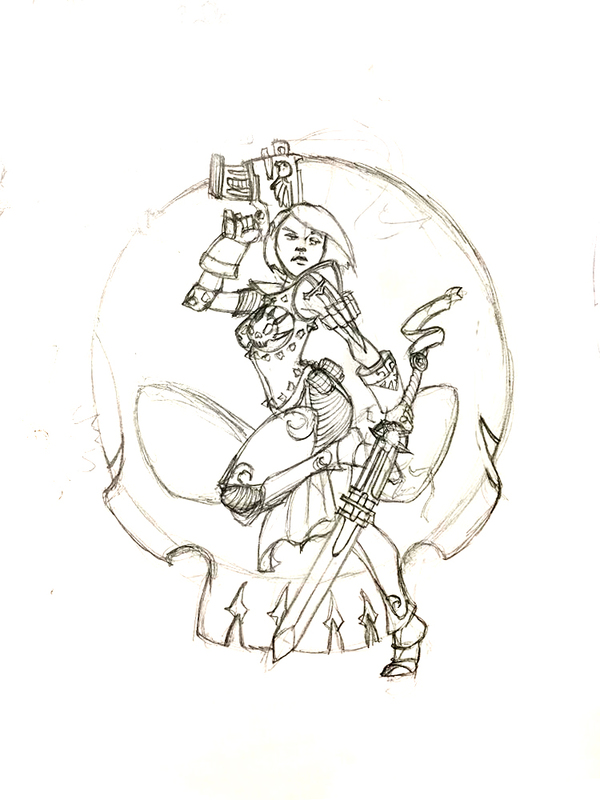 What happens when you combine deadly pinup art with the grim darkness of the far future? Only Warrior Women of course! My friend Paul Gheran had commissioned a unique patch design to complement his already fearsome combat gear for his airsoft team to rally behind. 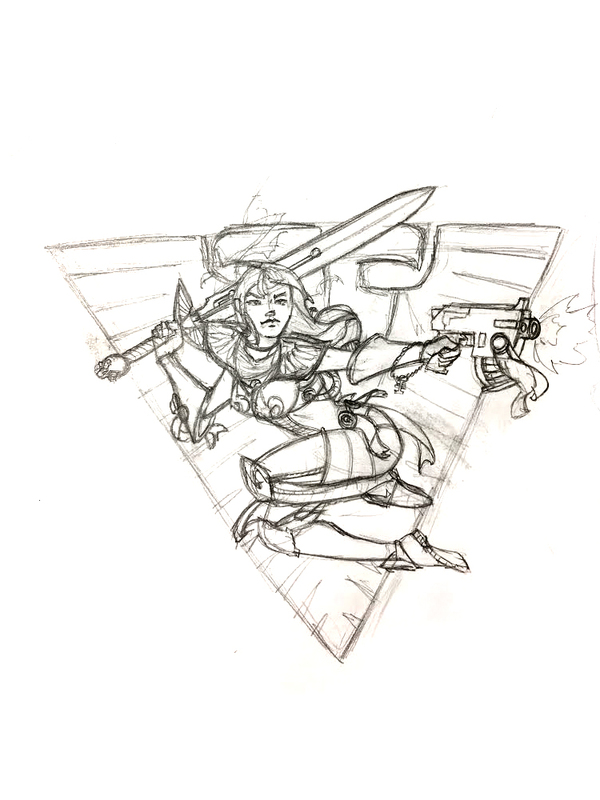 The objective was to take the format of the brutal femme fatale of the Gipsy Danger art from Pacific Rim and spin it with the hallmarks of a resolute Sister of Battle, to be rendered in a stitched patch. Paul's enthusiasm for the 40k mythos impressed me at every angle of the project evolution, and I could only hope to capture that energy in the final version. 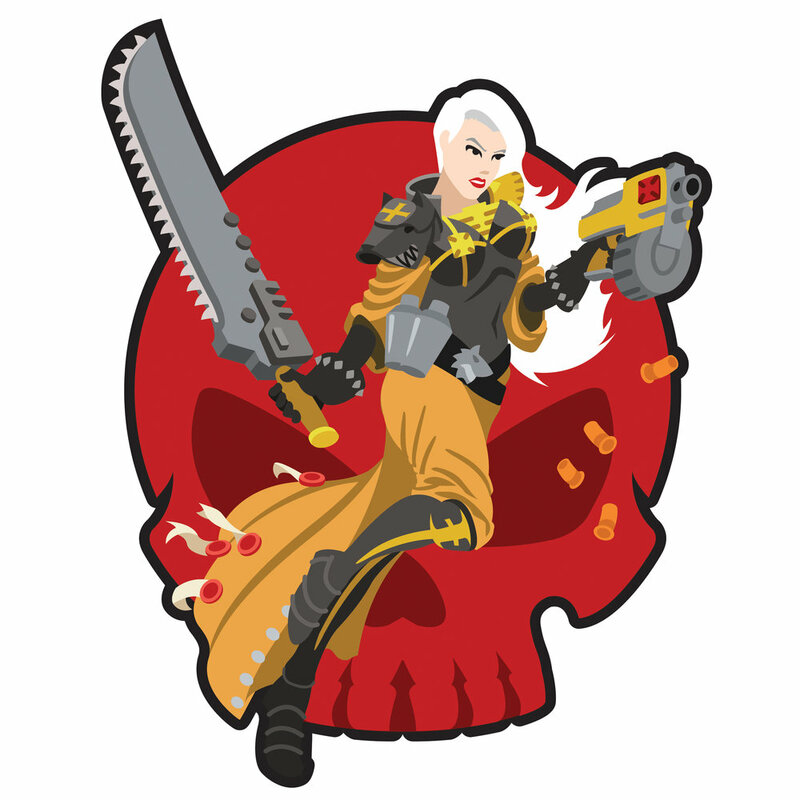 Myself a plastic addict (though loyal to the traitor legions of course) it was a fun project to explore some of the gothic stylings of the imperial crusaders in vectored glory.